A rather tardy posting as Cyclone Larry is now old news. 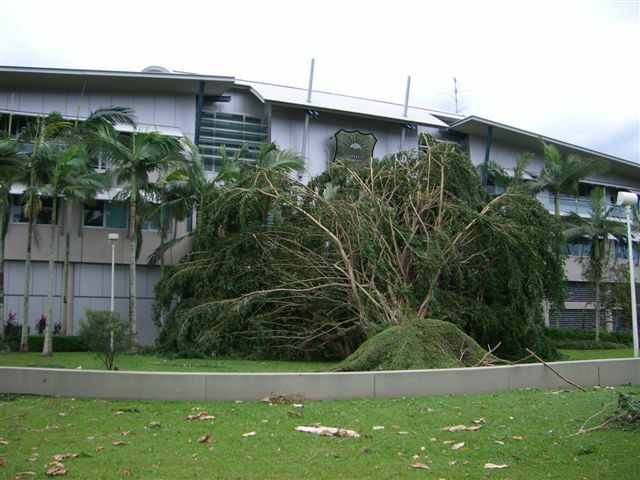 However wanted to display this photo of an uprooted tree outside the Cairns City Council. Our city's trees suffered dreadfully during this storm. 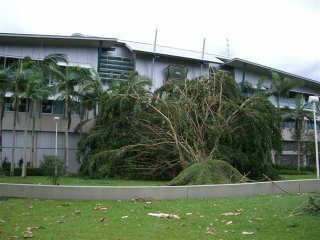 Cairns was very fortunate to be on the periphery of this very destructive cyclone, which ravaged the coastal towns about 100klm south of Cairns. No new postings for some time.. did Larry affect the MB family that much ? !